This was my late grandma's recipe and I grew up eating it made by my mom on a semi regular basis. Every time I make it it reminds me of my mom and grandma. It.is.so.good. So good. And really easy to make, which is the kind of recipe that I love! Instructions: Cook beef (and onions if you are using them) & drain. Add tomato sauce, tomato paste, rotel, water, and spices. Stir. Then add cooked rice. Bring to a boil, reduce heat and simmer for 40 minutes until it thickens. 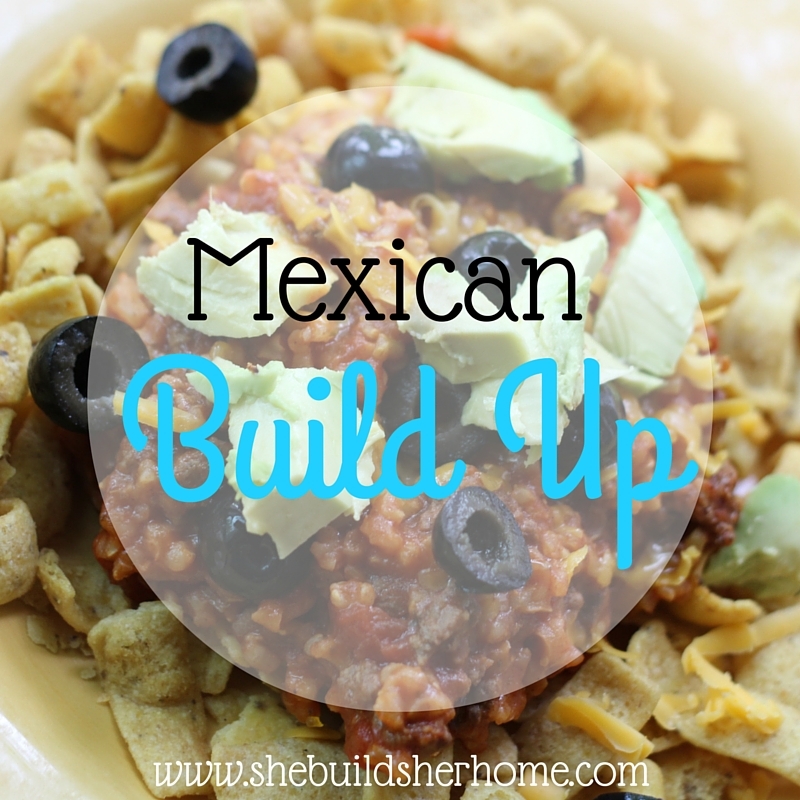 The reason it's called Mexican Build Up is because you then put it on a bed of chips or fritos and add other toppings!